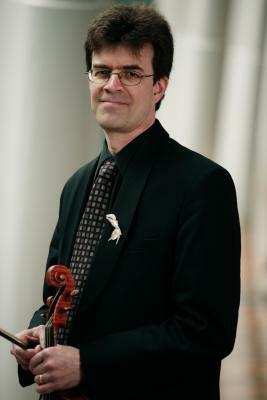 Born in the US, violinist and violist Jacques-André Houle has been active on the Montreal music scene for over 25 years. Principal Viola of Arion Baroque Orchestra, he is also a founding member of the period-instrument Franz Joseph String Quartet, with which he has recorded four CDs on the ATMA Classique label. He is equally a member of Les Idées heureuses and the Strauss-Lanner ensemble, and enjoys performing regularly with Les Boréades and Ensemble Caprice. With the Montreal Baroque Orchestra, which he co-founded, Mr. Houle performed extensively in the Americas, Asia, and Europe both as soloist and orchestra player. Furthermore, he has performed on the viola d’amore in Bach’s St. John Passion with the Orchestre symphonique de Montréal under Kent Nagano, at the Maison symphonique de Montréal. As a musicologist, he has contributed articles to the Encyclopedia of Music in Canada and the Dictionary of Canadian Biography, among others, and prepares liner notes for many Classical CDs produced in Quebec and elsewhere.